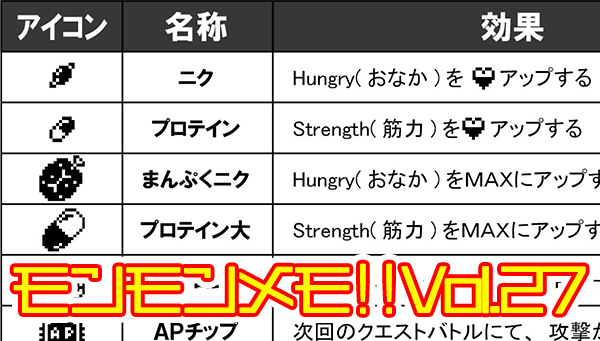 Digital Monster X Training & Raising Features from MonMon Memo! Thread: Digital Monster X Training & Raising Features from MonMon Memo! Time for more Digital Monster X info! With an introduction to some of the raising and training features in the newest V-Pets! First though, he comments how cold the weather is in November and asks that everyone please take care. The XAI System starts up automatically on the Digital Monster X when the Digimon wakes up in the morning. Based on the outcome, various parts of your Digimon raising will be affected. For example, you may receive items, a battle may be initiated suddenly... perhaps there may even be bad outcomes!? 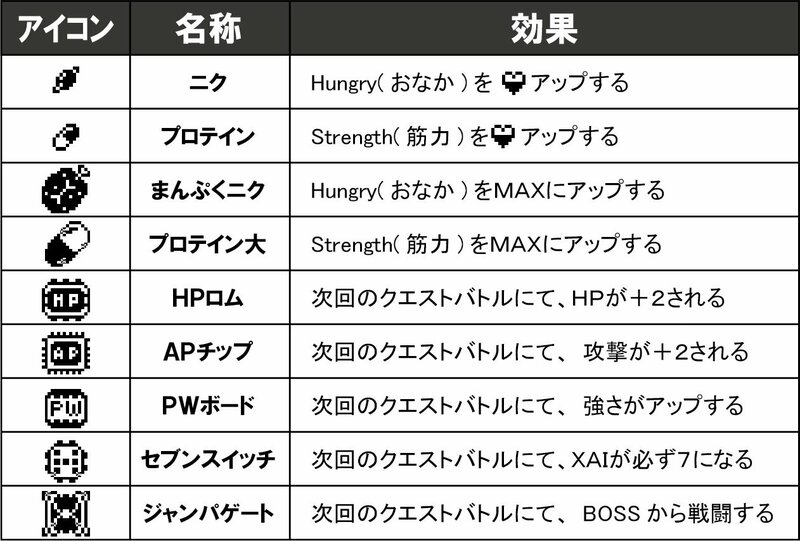 The item list for the Digital Monster X. Make full use of these items for raising, battling, and going around the map. By defeating an enemy Digimon on the map, you get experience. The level of Digimon goes up by this experience. As the level goes up, HP, attack, and strength will go up, which will give you an advantage for battle. Cold mode was received well in the Pendulum 20th Anniversary, and will be back in the Digital Monster X. In addition to cold mode, the backup system is being included, as mentioned previously. By preserving Digimon you back them up, and you can swap them back in with Digimon you are raising. 2 backups can be saved at a time, and you can exchange 1 main and 2 backups, to swap around for a total of 3 Digimon. 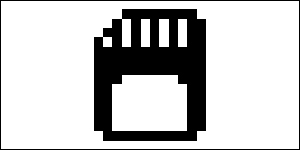 He recommends you use the backup system in an effective way. The Digital Monster X adds new systems and elements and he asks that you try playing it and to enjoy the next MonMon Memo. Update- Added and cleaned up some translation details above thanks to garm. Huzzah for leveling up on a V-pet! Wow. Really adding new dimensions to raising Digimon on V-Pets! Sweet! 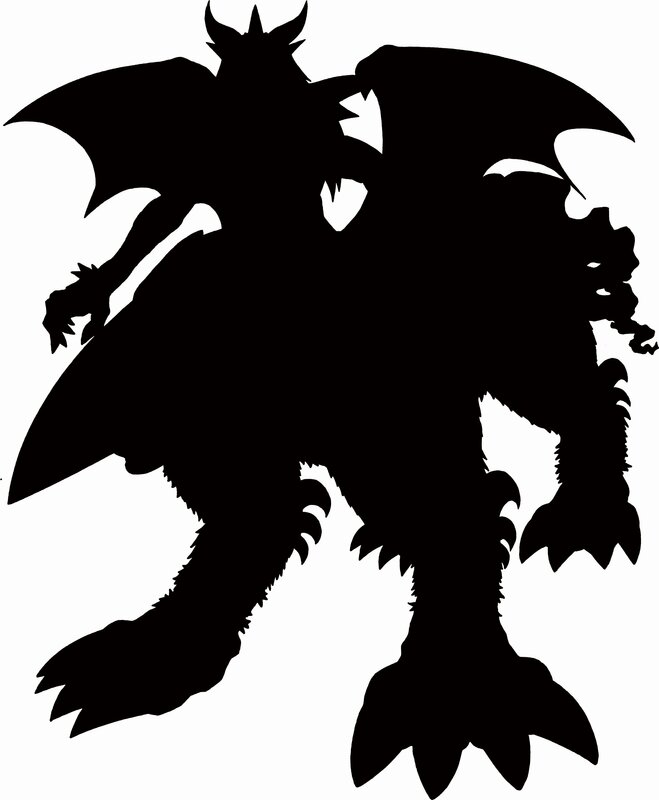 I somewhat hope that the tease of GrandDracumon means more than simply the inclusion of his evolution line but also towards additional mechanics. The strongest connection to the X-antibody lore that the species has is after all the mention in his profile that he knows about the secrets of the death-x evolutions which could also play a role in the new V-pet. The profile also says he keeps a castle in the Dark Area, perhaps he'll be one of / the major boss battle in the quest mode? Hmmm... I wonder who that could be. heh heh Nice to see them though. Tough fight in that one DS game though. Ahhh GrandDracumon!! He'll likely appear in the backstory of Chronicle X too! I couldn't be happier <3 As I mentioned in a previous thread, I've been seeing many fan theories lately about GrandDracumon being the original creator of the X-Virus as the Supreme Ruler of the Dark Area, sorta like the origin of the infection which later on Yggdrasil used to carry on with the X-Program...if this turns out to be true I'll scream all over around!! Added a few cleaned up details from garm that I missed.